Unexpected Top Oil Field Found in Swan Energy’s Backyard | Swan Energy, Inc.
After 39 years of developmental history, the Wattenberg oil and gas field was a close miss. Wattenberg was supposed to have already peaked as a gas field and not considered much of an oil field says Swan Energy. Although it was expected to produce natural gas for just a few years, Wattenberg has been steadily producing gas since 1970. Wattenberg now is the 7th largest gas field in the United States. That all changed in 2009 when the first Niobrara shale horizontal well (famously known as the Jake) was drilled and produced 50,000 barrels of oil in the first 90 days. A year later the Jake well is still producing more then 2,500 barrels of oil per month. In 2010 Swan Energy noted that, using the Jake well as a model, several other companies drilled comparably performing wells in the Niobrara shale using horizontal drilling and fracking techniques. Two years ago the oil rush began in Colorado. The Wattenberg is not considered the largest oil field in terms of acreage but it is what we at Swan Energy call “oil dense”. It is two to four times more “oil dense” than the Bakken field (based on 25 -40 OOIP MMBEO/Section for the Wattenburg). It is estimated that the Wattenberg field can produce 55 Million Barrels of Oil Equivalent per year in the Niobrara shale formation. 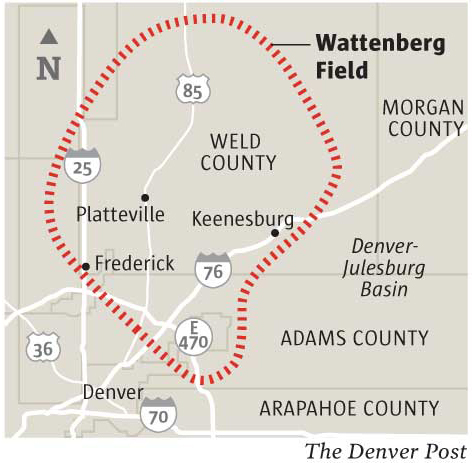 The Wattenberg oil and gas field is 20 miles north of the Swan Energy Inc corporate headquarters in Colorado. The Niobrara shale formation is about 6,800 – 7,200 feet deep with an average thickness of 400 feet. However, the northwest portion of the Wattenberg field can be as much as 1,400 feet thick. With recent advances in horizontal drilling and hydraulic fracturing the Niobrara shale found in the Wattenberg field is quickly becoming one of the hot oil plays of the west. Public companies like Anadarko, Chesapeake, Noble Energy, Devon and ConocoPhillips are grabbing as many mineral and land leases as possible. These companies are going after the estimated 55 million barrels of oil equivalent per year sitting untapped in the Wattenberg field found in the Niobrara formation. The Barrels of Oil Equivalent (BOE) per year expectation and the increased ability to extract the oil quickly through horizontal drilling and fracturing has created an oil race that Colorado has never seen before. High oil prices have created even more urgency. 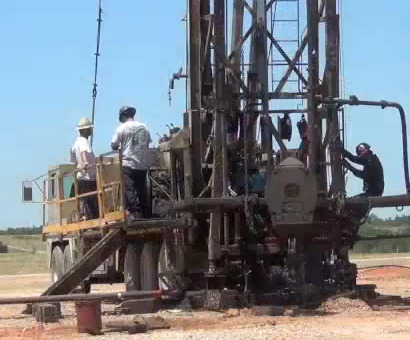 Horizontal fracturing wells make sense to drill while oil prices are high. The cost of one well is between 4 to 5 million dollars. Oil companies are willing to take this risk because they know, based on the results from the development testing wells they drilled in 2010 and 2011, that they will hit oil and will see a 30% increase in both initial production (IP) and one year cumulatives over vertical wells. Anadarko is projecting a payout in 10 months on a typical horizontal well drilled in the Wattenberg field. These factors explain why public oil companies are racing to get as many land and mineral leases as possible. They have an aggressive drilling schedule of 10 to 12 wells per month because they are projecting a much larger production in a shorter time span when compared to typical vertical well projects. Any investor looking to invest in the oil and gas sector should keep an eye on the Wattenberg oil and gas field. Most of the companies that are drilling here are seeing well averages triple their Expected Ultimate Recovery (EUR) revenue production levels in the last several months. In 2009, when horizontal drilling and fracturing started in this field, the Wattenberg saw at least a 20% year-on-year growth rate in Barrels of Oil Equivalent (BOE) since the wells have come online. 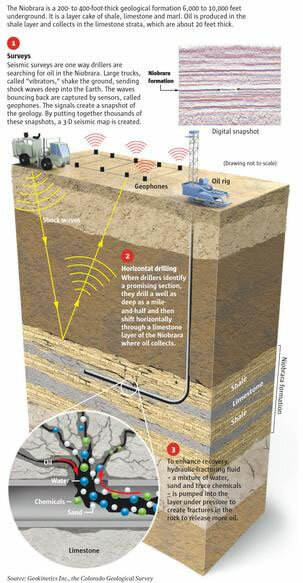 Horizontal drilling and fracturing ability to tap into reservoirs that are 12 times larger then the vertical wells in the same area. Short 10 day drilling schedules. Quick payout points based on EUR range of 300,000 – 600,000 BOE per well. With only a few dozen horizontal wells starting to produce in the 3rd Quarter of 2011, the Wattenberg field still was able to set a new record for quarterly sales volume for horizontal wells of 72,400 BOEPD – that’s a 22% increase over 3rd quarter 2010. With the modern horizontal drilling and fracturing techniques and short Expected Ultimate Recovery curves, Wattenberg has been proven to be a very conservative oil move for investors and companies that are drilling here. Considering high oil prices, the pressure cooker that is heating up in Iran and the Middle East, the discovery of this oil field could not have come at a better time for the United States. In 2012, the Wattenberg oil and gas field will play an important role in decreasing our dependence on foreign oil while increasing domestic jobs. With the Wattenberg field in Swan Energy’s backyard you can rest assured that we will be looking at this tremendous opportunity. Pingback: Swan Energy Explains Modern Horizontal Drilling Techniques « Swan Energy, Inc.
Visit the Swan Energy YouTube Channel to watch recent updates from the oil fields. Watch the Swan Energy Drilling Update here.